Now, in July, we start to catch sight of the Pufflings (that’s the name for a baby puffin–cute or what?!). They start to come out of the burrows to stretch their wings under the watchful eye of the parents as they are easy prey for the gulls. Although not fully grown, they are about 70% of their adult size, they are pretty good flyers by this time. Due to the predators, they make their way at night to the cliff edge and then fledge, going out to sea, by day break they are out of sight of land. From then on, the pufflings are on their own, receiving no further parental support. This great image is by Monica Doshi Photography, who has kindly allowed me to use her image. 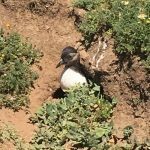 They will spend about 2 years at sea before they will return to the colony and then for a few years they will be by-standers on the cliff edges below the burrows. On average once they get to 5 years they then start breeding, once they have found a mate and a burrow! 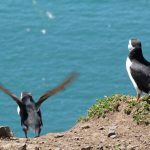 The breeding success is not great, one chick every 2 years is the average, and less than 1 in 5 of pufflings reach maturity. 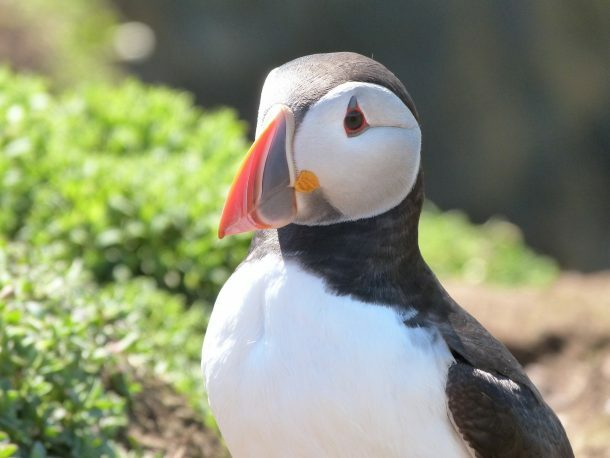 The average life span of a Puffin is 25 years, but there is one on Skomer who holds the record at 38 years! 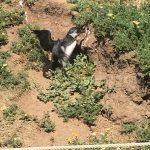 So, the end of July brings to fledging of the Pufflings and brings to an end Puffin Season on Skomer. 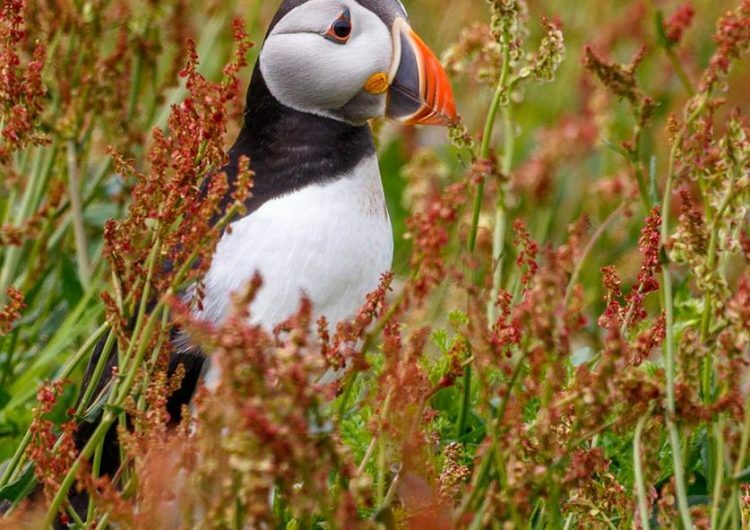 By beginning of August there will be only a handful of Puffins left. 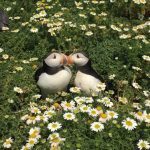 That, however, does not mean the end of Skomer Season, as there is still plenty to enjoy on Skomer Island and I will tell you more about that in a future blog! Here are more blog stories, if you’d like to read more. 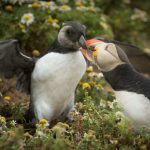 For more information about visiting Skomer, click here.